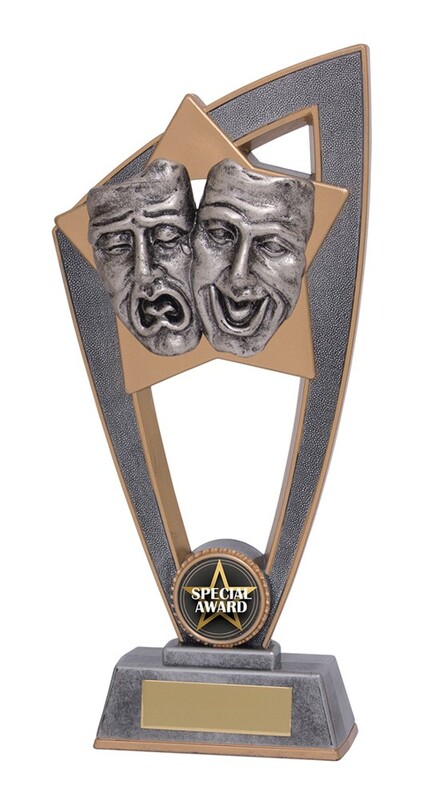 Star Blast Drama Masks Awards. Available in 3 sizes, 180mm, 200mm and 230mm high. Silver award with a gold star and silver drama masks. A great value drama trophy.